The Stilo7 SVR Limited Edition is possibly the fastest ping pong paddle on the planet! Killerspin’s carbon fiber blade construction and high-performance rubbers are designed for ping pong enthusiasts. Dominate their opponents in style, Game On! When something feels this good in your hand, putting it down is not an option. But winning is. Killerspin offers better control, better feel, and a better design in table tennis equipment. Stilo7 has a grip your hands can actually love. The secret lies in the stiff carbon fiber blade and the high-performance rubbers. Together they offer unparalleled ping pong performance and speed. The Stilo7 SVR is simply the best performing racket money can buy. Your Stilo 7 SVR table tennis racket comes in a custom built, leather like finish memory book. Your friends will envy its clean design and sharp looks. 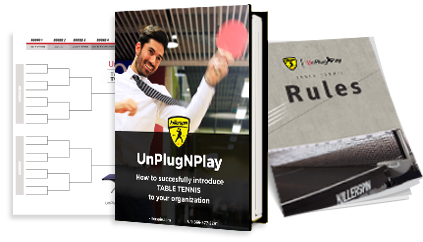 It doesn’t get any better than this for the table tennis enthusiast! Best ping pong racket I have ever used. This table tennis racket is out of this world and despite the price it is the best deal on the planet. It’s like taking out the light saber! Feels like being Yoda on the court. Amazing racket, very good spin and control. Silence out the opponents. I am delighted! I have one. It is one of the best paddles I have ever put into my hand. It is SO LIGHT, and I demolish every kid who wants to play a 'quick round.' DEMOLISH. I versed a seven or eight year old and won, and he looked heartbroken. Yo, I couldn't have done it without this paddle. Before, I couldn't even beat that kid.